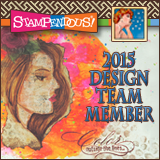 We’re so excited at Stampendous this week to have been playing with the fantastic products of Maya Road! 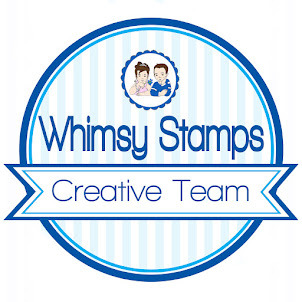 It’s been a fun week stamping down the road of inspiration! 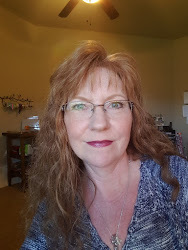 You will want to start right away creating fantastic gifts for your family and friends for the holidays! And, of course, there are prizes!! Maya Road will have one grand prize you can win by commenting on their blog, liking them on Facebook, and commenting on their Facebook page. We’ll have three prizes for the week comprised of a Maya Road alterable book (I have two chipboard and one canvas), Some MR chipboard or other embellies, and Stampendous EJK08 White Encrusted Jewel Kit – perfect for covering chipboard with blingy goodness and Stampendous CRW092 Cling Artist Elements and SSC1122 Elegant Borders Perfectly Clear Stamp™ Set. Readers will have until Sunday night September 15th to comment on as many of our team blog posts as they can. Monday we’ll choose three bloggers at random from the week and each blogger will choose one winner from her comments. Winners must have a United States mailing address. Today I have a mini album to share with you and I had so much fun making it! Here are all the details. 1. Using a stencil, I patted a white Brilliance pad over the top of it only going diagonally down the middle of the 3x6 mini album from Maya Road. When dry chalk a couple of edges of the honeycomb shape with pink then define the line with a pink colored pencil. 2. Stamp Butterfly Post (Stampendous)on pink paper with Versamark and emboss with Vintage Mahogany Embossing Tinsel (Stampendous) and color butterfly with a white Gelly Roll pen. Tear edges and sponge the sepia Verafine ink. 3. Stamp Butterfly Post diagonally with sepia ink and glue torn pink piece over it. 4. Randomly stamp Butterfly Charms set (Stampendous) over album with sepia ink. 5. Stamp Leaf Sprig by Stampendous on kraft colored paper with white Brilliance, let dry and chalk the edges of leaves with green and line with a green colored pencil. Chalk the little twig flower part with pink ink and dot with a white Gelly Roll pen. Tear edges, sponge with sepia and layer onto torn pink paper with sponged edges. 6. Stamp butterfly from set on white paper with sepia ink and color with pencils and to with a teal sparkle Gelly Roll pen. Cut out, curl wings, glue to Leaf Sprig and add pearls on the body. 7. Paint the Maya Road Jonathan Chipboard Alphabet pieces (Maya Road) with Deco Art American paint in cottonball. Then apply Duo Glue by US Artquest on the letters with your finger, let dry and dip letters into the Crystal Micro Glitter Jar by Stampendous and rub off excess. Glue onto mini album with Beacon 3 in 1 Glue. 8. Glue a Vintage Lace Mums-silver fox by Maya Road to a green flower and glue to the album. Beautiful! Love the layered butterfly post - paper over the stamped image - gives me lots of ideas. Love how you decorated this mini album! Such a pretty album! 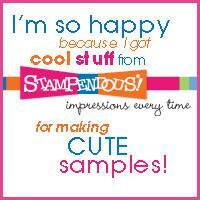 Love the colors and stamps that you used! This is so beautiful, Jamie! Love all the different textures and just the fresh, prettiness of it! Thanks so much for playing with us! OOOOOOOOOOOO! This is so pretty! Very feminine! Love all the butterfly elements! TFS! Charming! Love the kraft with touches of pink! Sweet! This is so adorable and clean looking, love it! Aww, your album cover is so sweet Jamie, I love the soft romantic shades! Oh, Jamie! This is so pretty!! I love it! The girly feminine feel of all the different elements pulled together is fantastic! I love how you chalked the green onto the edges of the leaves and then added the pencil. I've never really thought to layer ink, chalk and pencil so you've given me lots of inspiration! Very cute binder, thanks for sharing! Darling and beautiful! White on craft is beautiful with the leaf sprig stamp and then you added some awesome shading! Beautiful album, Jamie. Wonderful cover! I love all the white and the painting, just lovely! love all of the cute embellies and all of the work that you did on this. so cute. Love all the elements on this card! Beautiful work! Love the stamping in white and coloring! Great job! Thanks for sharing.